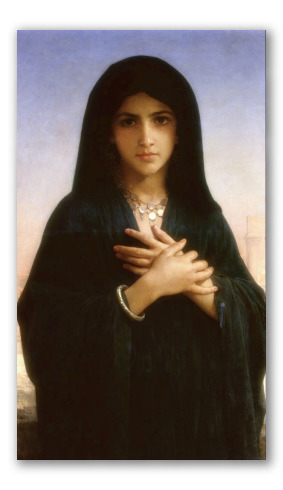 "The Penitent" by W. A. Bouguereau, oil portrait. 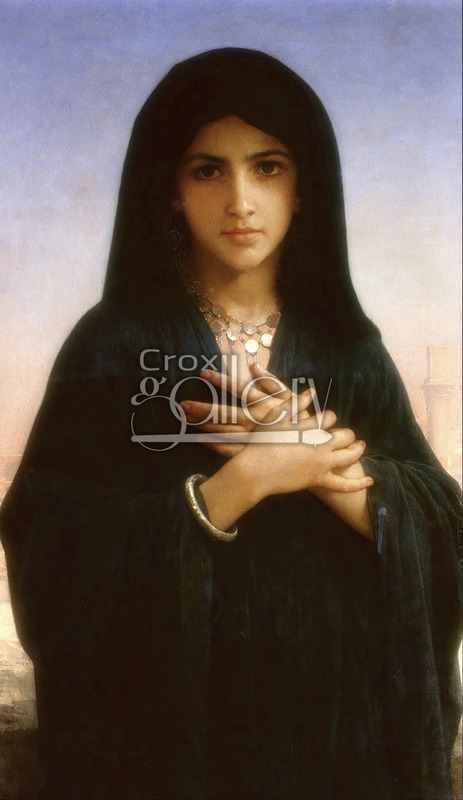 This oil potrait entitled "The Penitent" was painted in 1876 by William-Adolphe Bouguereau. It depicts the face of a beautiful young girl with a black veil, wearing a golden necklace and bracelet. The background is smooth: purple fading into orange. The attention in the composition is centered on the face and hands of the figure. It is currently on public display at the Laing Art Gallery in Newcastle, United Kingdom.